Last modified on 11/10/2012 6:42 PM by User. To provide a quotation, please the "New Quote" menu button BEFORE entering the customer and product details. This will open a new quotation form to complete and allow you to print the quotation. The Shop Floor mode will remain open in the background. If a sale is not being paid in full in one payment, you can now add the details of the multiple part payments. 1. Please select the date, the part payment amount amount, payment method and reference and click add payment. 2. The payment will be added to list and the status will automatically change to "Part-Paid" as shown below. 3. If you need delete a payment added in error, select the payment from list and press the DEL key. You will be promoted to confirm before continuing. 4. To finish the sale, click the appropriate payment method menu button. This will trigger the printing of the invoice. You can double click the required sale, to open it and continue working with it. You can open an existing sale and reprint the invoice at any time. You can find existing sales using a number of ways. These are available from the Recent Jobs List, search, debtors, creditors list etc.. 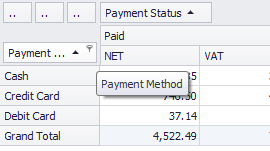 The payment fields are available available in the Edit Invoice Template Facility as shown below. These have been changed to cater for multiple part payments for a sale and also the different type of products for one sale. VAT Returns - If the VAT Return can not be generated because not all entries have a cost centre allocated, a draft one will be created to allow you to view the VAT Audit to identify these quicker. 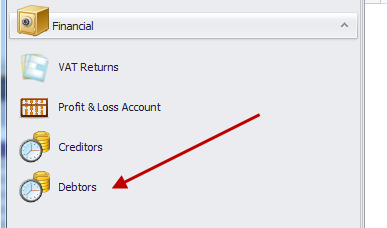 Any service expenses entered on the Vehicle Maintenance screen are now correctly saved as automatic expenses entries.